Binance listed Groestlcoin (GRS) – go add it to Gunbot! 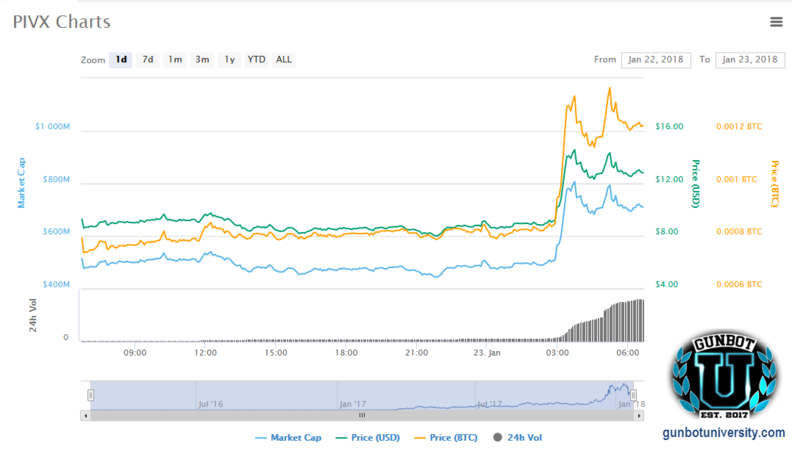 Gunbotters — Binance just listed Groestlecoin (GRS) this morning. GRS as a coin will probably go up in value for a little bit, after the initial “listing depression” and then get a major boost. 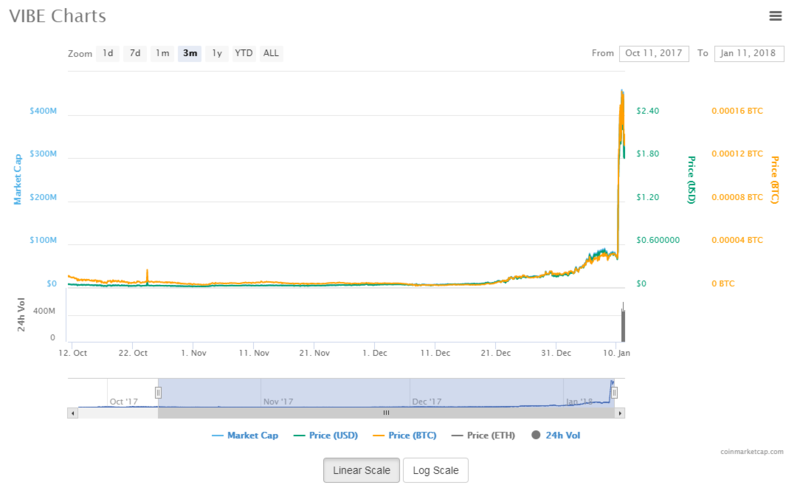 Take a look at Coinmarketcap for some history (also see below). 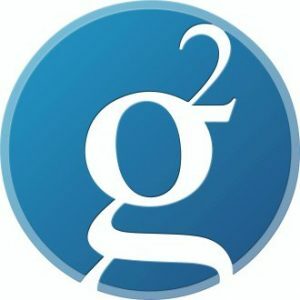 Previously, GRS was already available on Gunbot-available exchanges Bittrex, and Cryptopia, as well as several other exchanges, plus in several currencies. 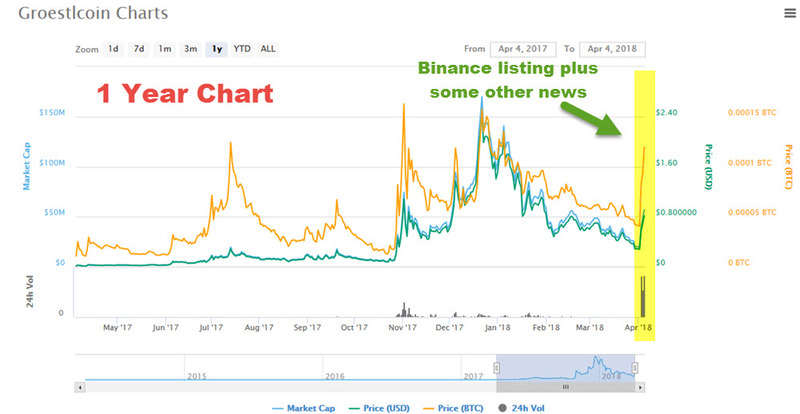 After the depression, and after the “boost”, when a coin gets a new listing, there tends to be a lot of volume, liquidity, and depending on how many other exchanges the coin is listed, the news about the coin, drama in the news, external factors, etc… there usually comes volatility. Gunbot thrives on Volatility. GRS, the 121st coin listed on Binance, currently has a minimum order requirement of 0.001 BTC according to their Official Trading Rules. 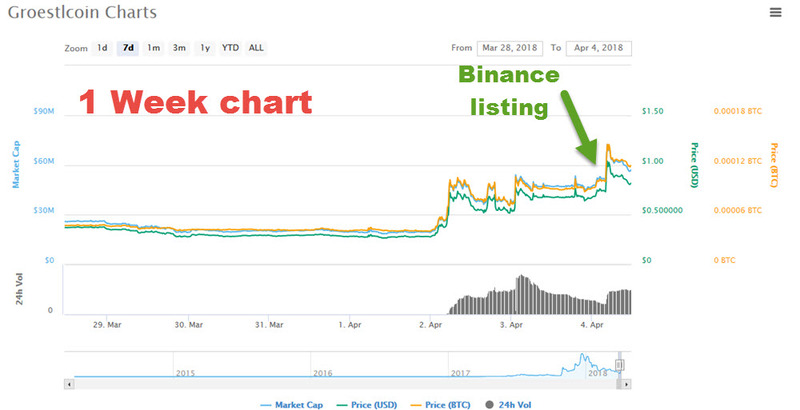 This listing gave a 45% boost in a very short time, but in crypto, coins can have a 45% boost any day. Also, it appears to have lost the boost already, probably with a ton of people taking profits. 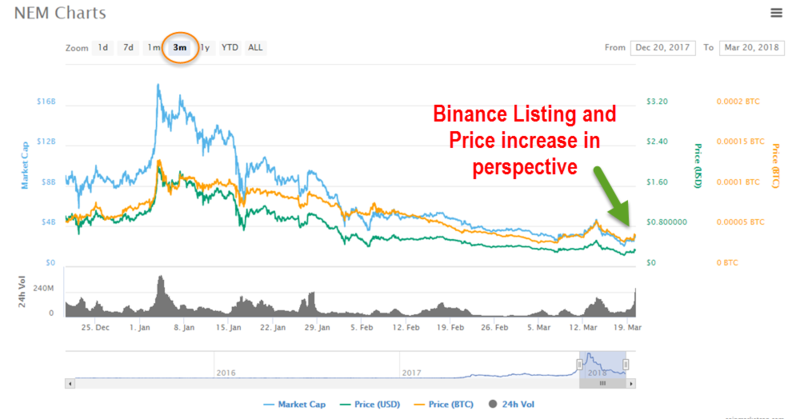 However, when looking at a larger outlook, and zooming out a little further, the Binance Listing and whatever happened a couple of days ago on April 2nd (youtube channel posted? 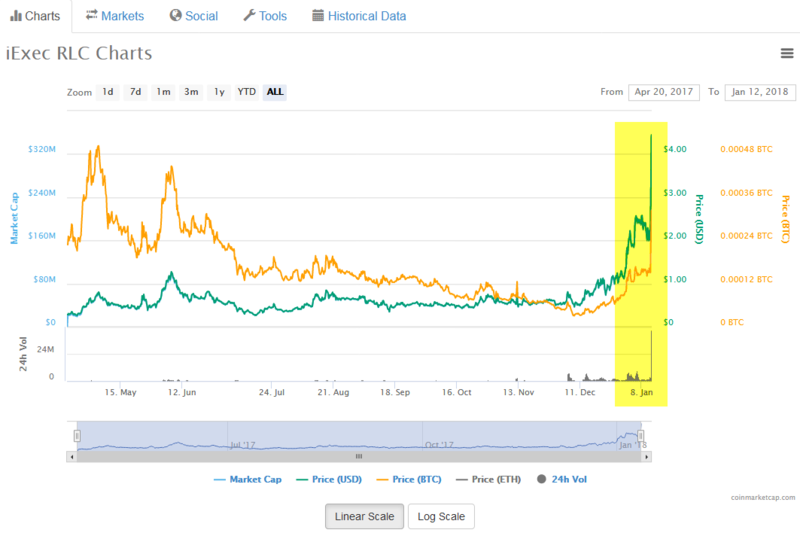 Not sure what spiked it before the listing) definitely rose up GRS back to earlier highs..
Binance listed Nucleus Vision (NCASH) – go add it to Gunbot! Gunbotters — Binance just listed Nucleus Vision (NCASH) last night. 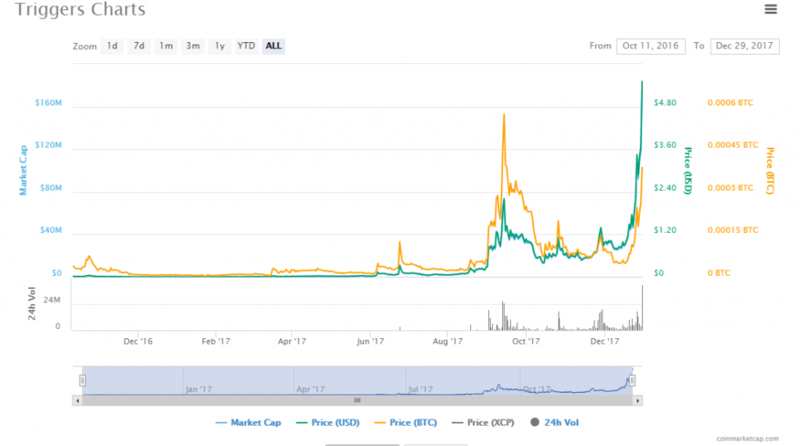 NCASH as a coin will probably go up in value for a little bit, after the initial “listing depression” and then get a major boost. It doesn’t appear to be listed on Coinmarketcap.com at time of this writing. NCASH, the 111th coin listed on Binance, has an unknown minimum price and order value because at time of writing, the Binance Trading Rules are not yet updated. But they used to be 0.001 BTC and then 0.002 BTC. Nucleus Vision is an end-to-end technology solution that captures and provides previously inaccessible data to retailers and other ‘brick-and-mortar’ businesses through its proprietary blockchain and real-time sensor technology. Binance listed Bluezelle (BLZ) – go add it to Gunbot! 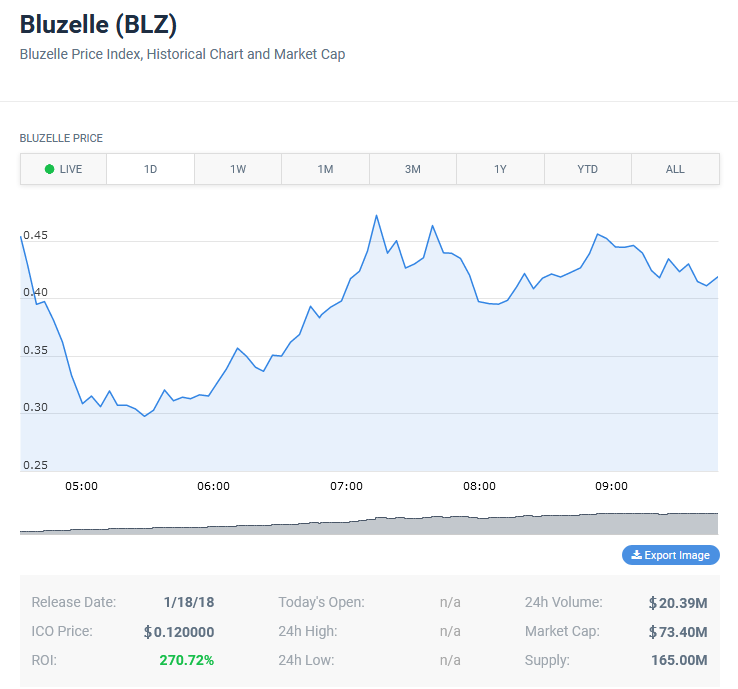 Gunbotters — Binance just listed Bluezelle (BLZ) last night. 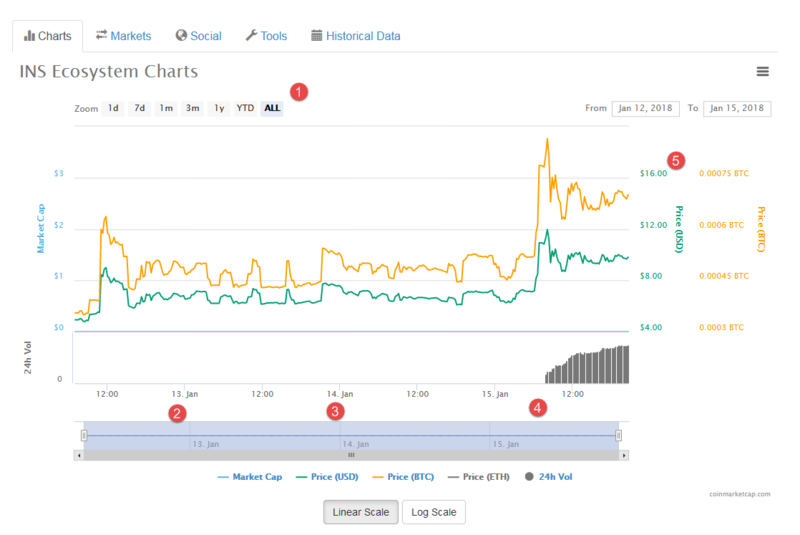 BLZ as a coin will probably go up in value for a little bit, after the initial “listing depression” and then get a major boost. It doesn’t appear to be listed on Coinmarketcap.com at time of this writing. (There was a “BlazeCoin” that used “BLZ” ticker, but seems unrelated). Coincodex.com lists Bluzelle with Binance as only exchange. 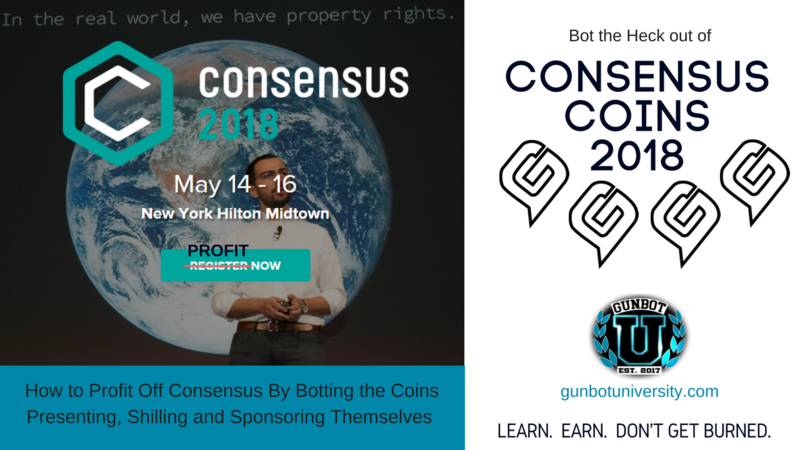 If you don’t own Gunbot, you probably should consider botting as a way to drastically improve your profits in crypto. GBU is an authorized seller, so what are you waiting for? Visit us in https://gunbotuniversity.com/shop . One of the bests deals around is the Master Gunbot Pack – you get Gunbot, all Exchanges, Plus GBU hosts your VPS (cloud server) for you for two months, sets everything up, installs everything, and then performs 2hrs of training and white glove handing over of the bot to you, with everything working and profitable. Not only that, but you get two months of Master membership at GBU. Master membership can continue for around $250/month after the first two months, and includes VPS for up to six exchanges and at least 2 hours of dedicated one on one training and elite access to our GBU facilities. BLZ, the 108th coin listed on Binance, has a minimum price of 0.00000001 BTC and a minimum order value of 0.001 BTC (ref: Binance Trading Rules) (hmm – it used to be 0.002 BTC… interesting). Bluzelle is a decentralized, on-demand, scalable database service for dApps. To ensure developers get the highest throughput in performance, reliability and scalability, Bluzelle implements swarming technologies. A swarm is a large group of nodes (computers) that work together to store and manage data. Nodes in these swarms can go down and new nodes can come up with minimal impact on the network. Bluzelle fills a need to make the decentralized Internet complete, by improving efficiency and scale of data storage and management. 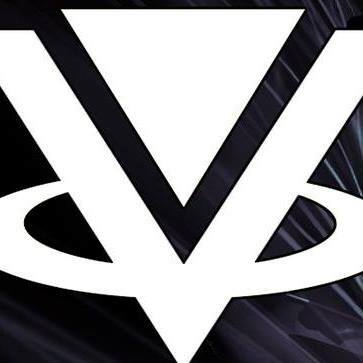 Binance listed Viacoin (VIA) – go add it to Gunbot! Gunbotters — Binance just listed Viacoin (VIA) last night. VIA as a coin will probably go up in value for a little bit, after the initial “listing depression” and then get a major boost. 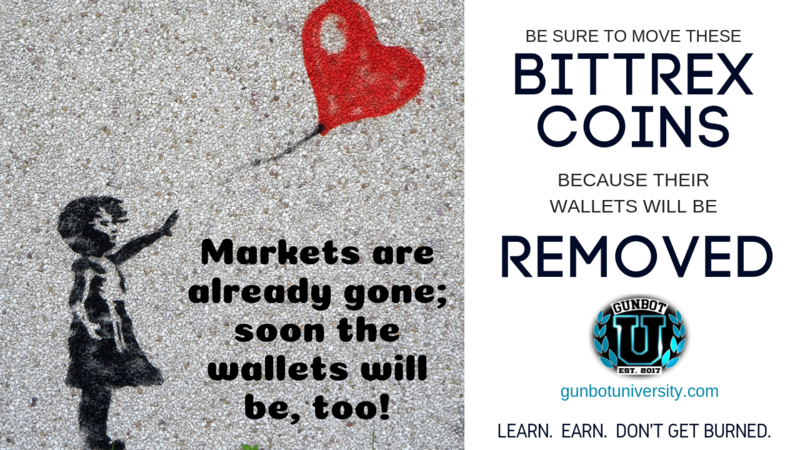 You might want to add it to your Gunbot on your favorite exchange(s) wherever it’s supported, which currently includes Bittrex and Poloniex… It’s also available on a few non-Gunbot Exchanges like Upbit, Coinroom, YoBit and a few others. 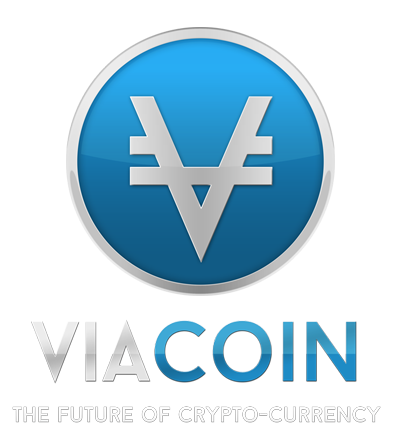 Viacoin is an open source crypto-currency created in 2014, derived from the Bitcoin protocol that supports embedded consensus with an extended OP_RETURN of 120 bytes. Viacoin features Scrypt Merged mining, also called Auxiliary proof of work or AuxPoW, and 25x faster transactions than Bitcoin. 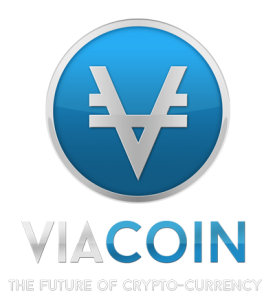 The inflation rate of Viacoin is low due to minimal mining reward. As the block reward of Viacoin is low, miners are given incentive to mine Viacoin through Merged mining (AuxPoW). Viacoin is currently mined by one of the biggest mining pools (F2Pool) with a very high hashrate. 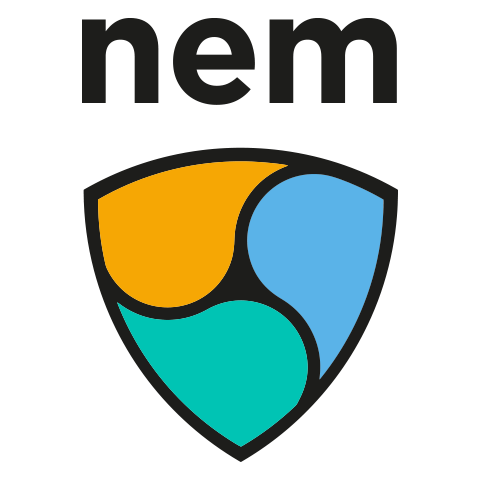 Other features include a mining difficulty adjustment algorithm to address flaws in Kimoto’s Gravity Well (DarkGravityWave), Versionbits to allow for 29 simultaneous Soft Fork changes to be implemented at a time, Segwit and the Lightning Network. Binance listed PIVX coin (PIVX) – go add it to Gunbot! 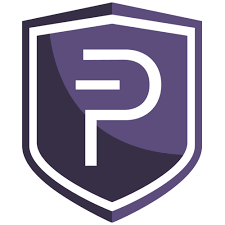 Gunbotters — Binance just listed PIVX Coin (PIVX) last night. PIVX as a coin will probably go up in value for a little bit, after the initial “listing depression” and then get a major boost. You might want to add it to your Gunbot on your favorite exchange(s) wherever it’s supported, which currently includes Bittrex and Cryptopia… It’s also available on a few non-Gunbot Exchanges like CoinExchange, LiveCoin, Upbit, and a few others. GBU takes more than just bitcoin for payment — avoid the high fees by using Litecoin, Bitcoin Cash, or DASH when you check out. We even take Paypal (manually) if you want to pay that way. We just need to add a little extra for processing, and it’s not on the website (yet), so just send a direct message to Professor CryptoWally in the Slack or use our feedback form if you want to use Paypal. PIVX runs on Blackcoin PoS 2.0 protocol and is based on Bitcoin core 0.10.x code base. 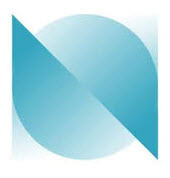 It utilizes a network of masternodes for an openly visible decentralized governance and increased transaction privacy. Binance listed INS Ecosystem (INS) coin – go add it to Gunbot! Gunbotters — Binance just listed INS Ecosystem (INS) last night. If you don’t own Gunbot, you probably should consider botting as a way to drastically improve your profits in crypto. GBU is an authorized seller, so what are you waiting for? Visit us in https://gunbotuniversity.com/shop . 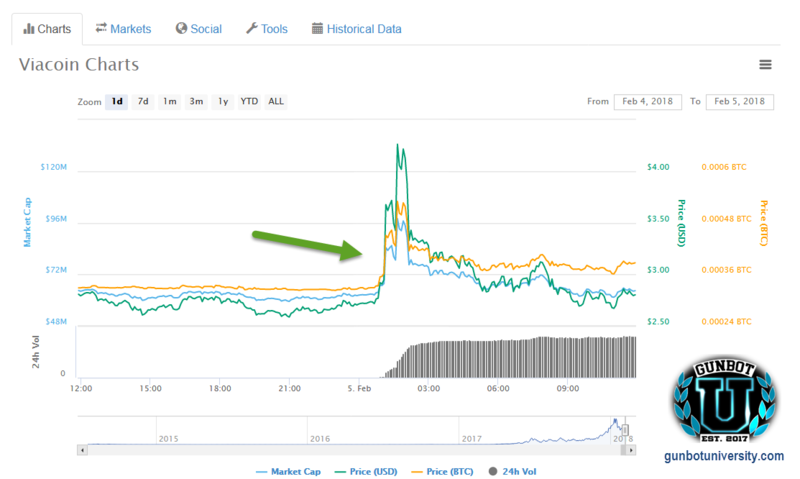 But Jan 15th shows the BIG spike, which is when Binance listed it, and all the HODLers from the ICO (initial price: $2.57) were quick to sell off their coins.. presumably. 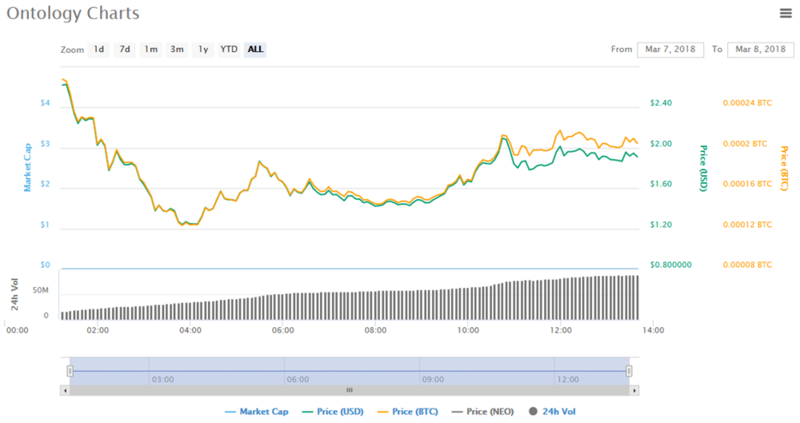 The peak price hit near $12 and 86k sats before settling down for some horizontal action. This is what makes us think it’s probably a good time to add it to Gunbot since there’s a spike in the past. INS is the first global decentralized ecosystem that will enable consumers to buy groceries directly from manufacturers conveniently and at lower prices. INS will facilitate the direct interaction between consumers and manufacturers. Bypassing retailers and wholesalers means a more personalized and transparent grocery shopping experience at lower prices. Сonsumers will be able to decide which brands they want and which goods they need. INS will enable manufacturers to create bespoke marketing programs to promote their goods directly to consumers. 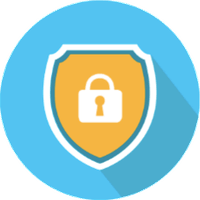 These programs run on smart contracts and are powered by the INS token as a means of reward. It is similar to a miles-based reward programs of many airlines, but more advanced, cheaper to run and personalized thanks to the smart contracts behind them. Binance listed iExec RLC coin – go add it to Gunbot! 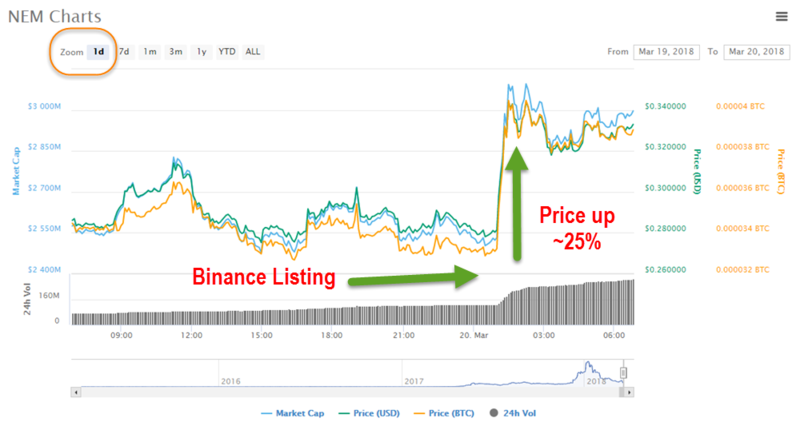 Gunbotters — Binance just listed RLC coin last night. RLC as a coin will probably go up in value for a little bit, after the initial “listing depression” and then get a major boost. If you’re not botting it already, add it to your Gunbot on your favorite exchange(s) wherever it’s supported, which includes Bittrex… If you were already botting it, you probably saw a nice boost today. 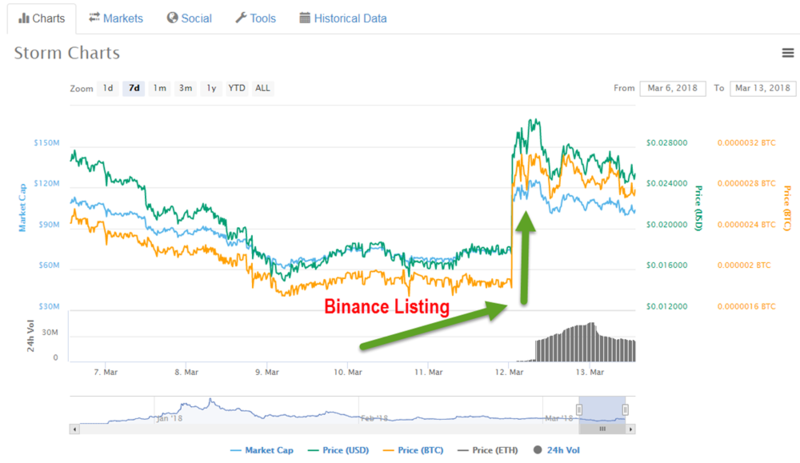 This is Binance’s 100th coin to be listed… but there was no special fanfare. That was a bit unexpected. As listed, you will need to make trade volume of 0.002 or more, so be sure to set your minimums in gunbot appropriately. 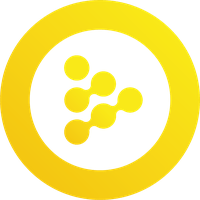 iExec aims to provide distributed applications running on the blockchain with scalable, secure and easy access to the services, data-sets and the computing resources they need. This technology relies on Ethereum smart contracts and allows building a Virtual Cloud infrastructure that provides high-performance computing services on demand. iExec relies on XtremWeb-HEP, a mature, solid, and open-source Desktop Grid software which implements all the needed features: fault-tolerance, multi-applications, multi-users, hybrid public/private infrastructure, deployment of virtual images, data management, security and accountability, and many more. The RLC tokens will be used to access the resources provided by the Market Network. It will be the unique way of payment for Application providers, Server providers and Data providers. Binance listed VIBE coin – go add it to Gunbot! Gunbotters — Binance just listed VIBE coin last night – interestingly, it’s the 99th coin listed on Binance’s BTC exchange… I wonder if they’ll do anything special for the 100th coin. the possibilities of traditional technology. All transactions on these hubs will use VIBE, an ERC20 token. What differentiates VIBEHub from traditional Virtual Reality applications is the ability to capture visual performances in Volumetric Video (Holoportation Technology). This will allow for a closer and more intimate interaction with artists, educators or instructors. TRIG as a coin will probably go up in value for a little bit, and get a boost. If you’re not botting it already, add it to your Gunbot on your favorite exchange(s). Might want to add it to Binance if you have a license for that exchange. If you don’t have a license for Binance exchange, consider adding this exchange to your licenses. This is probably a good time to remind you that GBU is running XMAS specials until 12/31 and then these deals are gone. Visit https://gunbotuniversity.com/xmas — you can add one exchange + Trading View for 0.025 BTC or all the exchanges + Trading View for 0.05 BTC. Note that normally, one exchange is 0.05 BTC and Trading View is 0.05 BTC, so adding all the exchanges with Trading View for 0.05 BTC is a real steal. Plus, GBU takes more than just bitcoin for payment — avoid the high fees by using Litecoin, Bitcoin Cash, or DASH when you check out. We even take Paypal (manually) if you want to pay that way. We just need to add a little extra for processing, and it’s not on the website (yet), so just send a direct message to Professor CryptoWally in the Slack if you want to use Paypal. TRIGGERS, A MACHINE TO MACHINE TOKEN, POWERS THE BLOCKSAFE NETWORK ECONOMY. 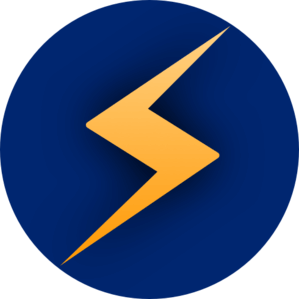 TRIGGERS POWER EVERY EVENT THAT TAKES PLACE BETWEEN SMART DEVICES PARTICIPATING IN THE BLOCKSAFE NETWORK. Continue reading "Binance listed NAV coin this morning"
Continue reading "BITTREX: SAFEX is being delisted on December 15th"